Hitotsubashi University was established as a center of education and research embracing every field of the social sciences, which make up the learning of civil society. The University has contributed to the development of Japan’s political and economic society and the nurturing of its creative driving force through its liberal academic traditions. Its standards of education and research, including those in the humanities, are extremely high, and since its establishment it has produced many highly talented graduates who have been active not only in Japan but also internationally. Based on this history and record of achievement, our continuing mission is to create intellectual and cultural property which will contribute to the building of free and peaceful political and economic societies in Japan and the world and to train those who will assume positions of leadership. 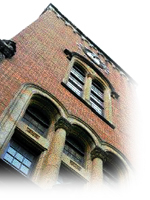 In order to accomplish this mission, Hitotsubashi University lays down the following principles and policies for the active promotion of pioneering and interdisciplinary education and research in the social sciences, with the aim of helping to solve, as a center for Japan and the world, the important problems common to human societies. To establish a solid foundation for research and for the creation and study of new fields in the social sciences, and to develop, accumulate, and widely publish intellectual and cultural property rich in originality. To contribute intellectually and practically to Japan and the world through active partnerships in business and policy-making, society and culture. To produce creative-thinking specialists, innovators who will act with reason and rationality, and policymakers and businesspeople with leadership skills who are cultured and civil-minded. To provide education and conduct research in a spirit of autonomy and intellectual integrity cognizant of the University’s social responsibility and duly respecting law and ethics. To respect the freedom and autonomy, individuality and diversity of those engaged in education and research. To value theoretical research and practical research, basic research and pioneering research equally. To publish the results of research widely both nationally and internationally and to strictly verify such results through objective, fair self-evaluation and external evaluation. To foster an educational environment which is free and inspiring based on the concept of dialogue and two-way education. To make the polishing of students’ individual sensibilities, the training of their powers of reasoning, and the cultivation of their creativity and judgment to be the guiding principles of their education. To cooperate closely and actively with civil society, industry, and government to respond appropriately to the problems facing society. To plan international partnerships in education and research and build information and human networks.